SEOUL, KOREA, October 11, 2018 /24-7PressRelease/ — CEO Ik Seung Jung of DS Global, a global leader in the portable printer market and CEO Jimmy Park of BOUD, the design accelerator behind successful crowdfunding launches for PIC and PLUB, are excited to announce the global release of flexible lifestyle camera OPPY. The first product launch from this collaborative partnership, DS Global will be responsible for manufacturing and quality control while BOUD will provide their product design expertise. OPPY is both flexible 4K camera and lifestyle companion. Designed to be posed, bent or mounted without the need for excess accessories, OPPY’s unique flex-body unlocks image and video angles previously impossible to shoot on traditional cameras. With four shooting modes (image, video, timelapse, slow motion), OPPY takes ordinary daily life and opens endless content creation capabilities. 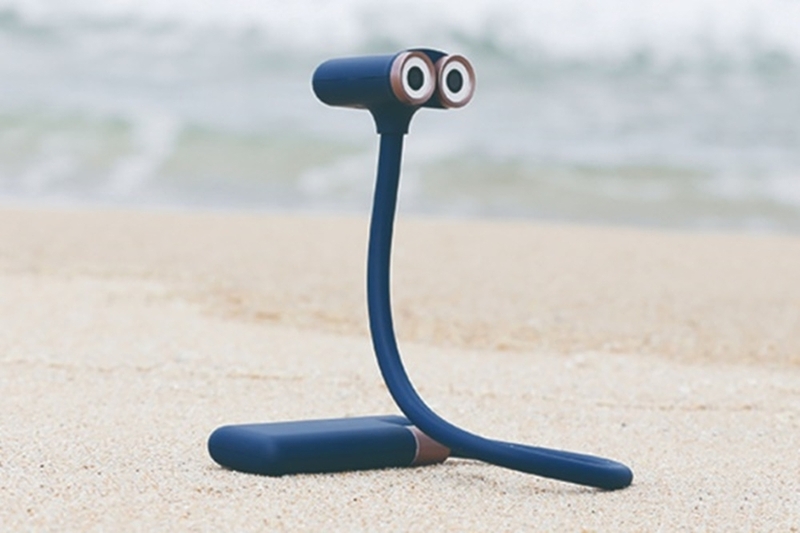 Beyond functionality, OPPY stands-out with its eye-catching wide-eyed character design tailored to BOUD’s young and playful design sensibilities. Bringing to mind a curious robot on an exploration mission, OPPY is more travel companion than unfeeling machine or device. When equipped with a diver helmet, OPPY is even capable of underwater exploration. Imbued with personality and playfulness, shooting with OPPY helps eliminate anxiety for the camera-shy, especially for young children. OPPY will first launch on crowdfunding platform Kickstarter on October 10th, 2018th. This launch strategy was chosen to test product demand, particularly in the U.S. market, where BOUD has found previous success for crowdfunding projects PIC ($165,733 USD raised – 1,639 backers) and PLUB ($46,016 USD raised – 986 backers). Based on the success of the OPPY campaign, DS Global and BOUD expect to open retail sales in Korea starting the end of 2018. Market research has shown a particular demand among audiences including content creators, travelers and young parents. Expected MSRP is currently set at $129 USD. Discounted Early Bird Specials limited on Kickstarter. Established in 2010, GS Global is a Global IT company offering a comprehensive service-line, including product research, manufacturing and sales, to bring products to market based on industry-leading technology and software. A leader in global sales for portable printers, DS Global’s flagship product reached sales of 110 billion KRW in 2017. Based on their mission to develop products of “human value” and “future value,” in 2018 DS Global’s new-business division will launch a new line of innovative technology including OPPY, developed in collaboration with design accelerator BOUD. Jimmy Park, CEO of BOUD, held the position of Creative Director for Samsung’s Open Tide Initiative and in 2004, co-founded Right Brain (www,rightbrain.co.kr), one of the most influential UX design companies in South Korea. Combining backgrounds in UX and product planning, CEO Park established BOUD (www.theboud.com) with Kite Kim, a former LG Electronics product designer, to create products that demonstrate both “value experience” and “wit” to the world.